Delivery is free on a full load within a 18 mile radius and will be made Mon-Sat at an arranged time. Please call for a delivery quotation. We deliver to Andover, Newbury, Marlborough, Winchester and Basingstoke locations. 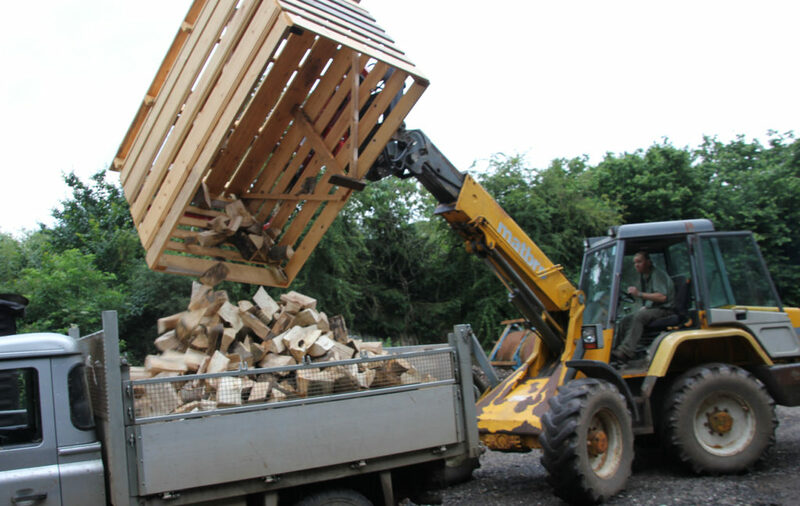 Once the firewood has been dried they can be cleanly poured onto our trucks and swiftly delivery. Each truck is measured and divided up into cubic metre sections. The logs are loose loaded directly into these cubic metre sections via our specially designed machinery. Please note: to offer our customers a quick efficient service the logs are NOT neatly stacked at this stage and our measured accordingly. See our photo here. 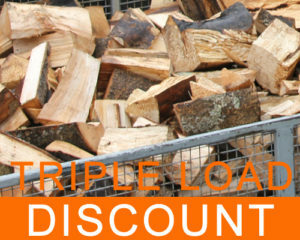 We source and cut all of our firewood ourselves, see our About Us page for more information on where our logs come from. This means that if you require a special order, whether it is quantity or type of wood, then please call us to make arrangements. Sawn Timber is made to order, please call 07802 373399 for more details. “Thank you for your order and I will contact you shortly to confirm your delivery”.